Home > Blog > Choosing a Financial Adviser: Free or Fee? Just 5 years earlier, in an online survey conducted as part of the Financial Advisory Industry Review (“FAIR”) initiated by the Monetary Authority of Singapore (“MAS”), it was revealed that 80% of Singaporeans were not prepared to pay an up-front fee for advice. What these tell us is that, while most Singaporeans recognise the importance of professional financial advice, the majority want to have it for free. There are a few key reasons why we think that’s the case. With the prevalence of broadband and mobile connectivity, along with the abundance of information online, it is not uncommon for consumers to perform research on personal financial topics through the internet and mobile applications. The fact that you are reading this blog post is testament to that. For consumers who prefer a human-driven approach, the current majority of financial advisers offer basic financial consultation without any upfront payment. This has everything to do with the way these advisers are being paid, which we will discuss in further detail shortly. Unfortunately, most consumers still do not place as much emphasis on financial advice vis-à-vis other forms of professional advice such as medical or legal opinions, and therefore the perceived value of financial advice is therefore lower. There are of course varying contributing factors to this lack of perceived value, but they will be discussed another time. From a regulatory point of view, a “Financial Adviser” refers to a corporate entity licensed to provide financial advisory services regulated under the Financial Advisers Act. Therefore, we will distinguish the “Financial Adviser” company from their representatives, and refer to the person who gives financial advice as the “Financial Adviser Representative (“FAR”)” from this point onwards. 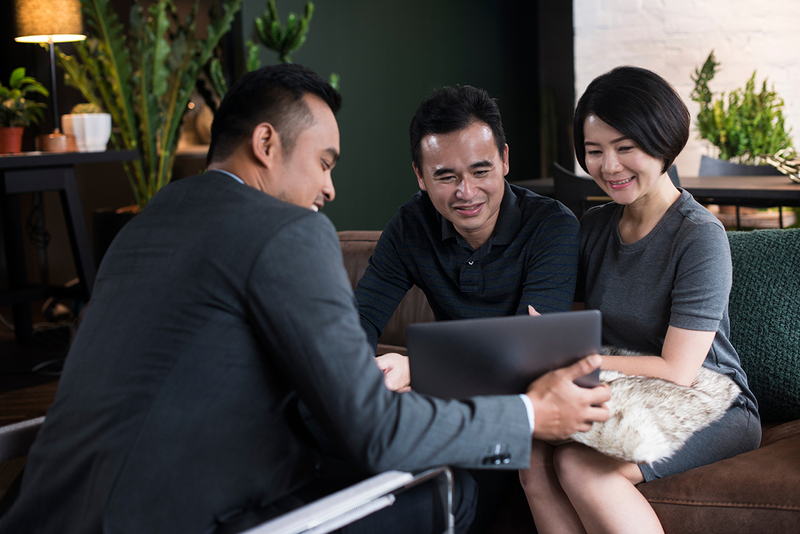 There are an estimated 20,000 active FARs in Singapore, representing various financial institutions ranging from the big boys like banks and insurance companies to smaller players like privately-owned financial adviser companies. Apart from pro-bono work arrangements with some social welfare organisations in the form of financial counselling, you can be 100% sure that none of them provides advice for free. Like you and I, FARs need to make a living and put food on the table for their families. All of them charge a fee for advice. The question is how you are paying for it – either indirectly through commissions, or directly through fees stated upfront. Commission-Based: The FAR is paid a commission by the financial product issuer for selling a financial product. Fee-Only: The FAR is paid a fee by you and only from you, and receives no commission from the financial product issuer even if you buy a financial product. Fee-Based: The FAR is paid a fee from you for the advice, and is also paid a commission by the financial product issuer if you buy a financial product. Each compensation model is not necessarily better over another. Each has its unique value propositions while also carrying some economic biases (conflicts of interest), which will make each one suited for different types of consumers. In this series, we will attempt to walk you through the characteristics of each compensation model and the kinds of consumers they would be most suited for. In the next article, we will discuss more about the Fee-Only FAR and the type of consumers that will best benefit from them.